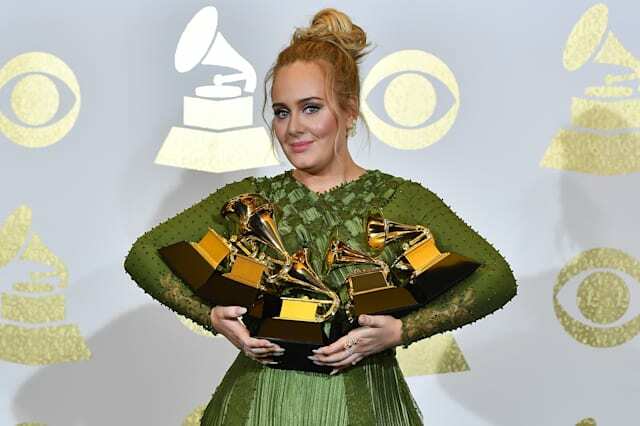 Adele and David Bowie have brought British success at the 2017 Grammys after winning early awards at the ceremony. Bowie, who died from cancer in January 2016 at 69, won posthumous awards for best alternative music album, best rock performance and best engineered non-classical album for his last release Blackstar. Adele won best pop solo performance for Hello and best pop vocal album for 25. The awards were announced during a non-televised ceremony ahead of the main show at the Staples Centre in Los Angeles. Donny McCaslin from Bowie's Blackstar band fought back tears as he collected one of the singer's awards. "It's an honour and a privilege to be invited to accept this award for David," he said. "Working with him on Blackstar introduced me to an artistic genius, a kind man and a funny as hell guy." McCaslin recalled a message Bowie sent him during the recording of Blackstar, in which he said: "I'm so excited I just vomited up a 1967 Mercedes." "His songs were amazing and he was one of the most wonderful people I've met in my life," McCaslin added. Backstage, Bowie's music producer Kevin Killen said: "It's kind of startling it's taken that long for an artist who's been so magnificent throughout his whole career." Killen said Bowie's ill health during the making of Blackstar "did not impede, if anything it spurred him on". "He was incredibly enthusiastic every day he came in and was really determined to make this record on his own terms," he said. 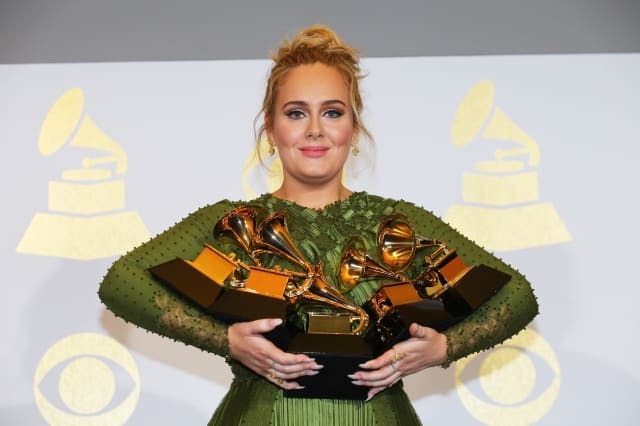 Adele, who is performing at the Grammys, did not collect her two awards on stage.